here's the poster i created for the tutorial that i wrote over at vectortuts. 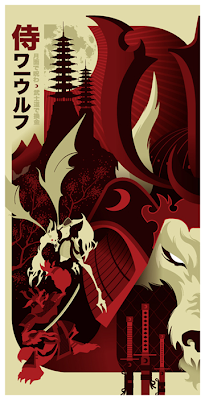 what's more badass than a japanese lycanthrope fighting a winged vampire clan member with a katana under a full moon? beats me...if you can think of anything, let me know. the autumn society of philadelphia. nowadays, that brainwashing doesn't deprogram with time. collectors club website, i can finally post it! decepticons are the heroes who save the day! the cover features snippets of the four images that i created for the interior story. i'll post the full illustrations at a later date...have to protect the exclusivity of the art, as the story is for collectors club members only. it's such an honor to have done official work on a property that was such a huge part of my childhood!